Think about the longest, middle-sized, and shortest rods your teacher showed you. All of these samples have the same mass, but their volumes are different. line next to each sample. 2. Explain why you think each rod is either the most, medium, or least dense. water level tell you about the sample? 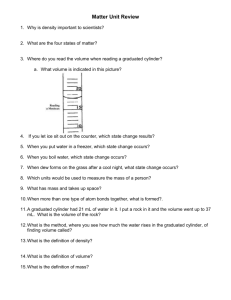 of 1 cm3 in a graduated cylinder filled with 40 mL of water? 4. 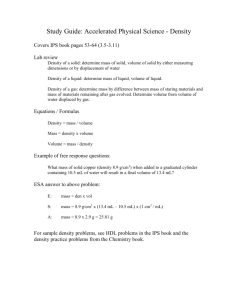 What is the density of the sample described below? 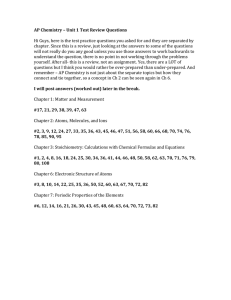 Be sure to write the units in g/cm3. Your group will work with five rods each with the same mass, but made of a different material. 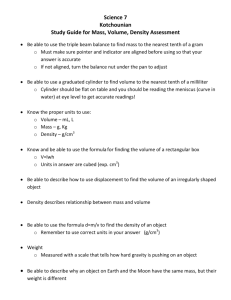 Carefully measure the volume of each sample and calculate the density. 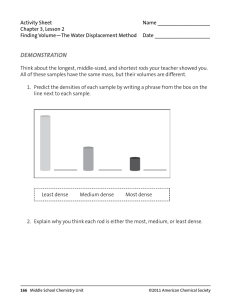 Then use density to correctly identify each of the five samples. 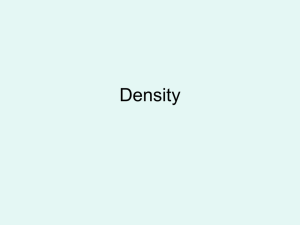 Can you use density to identify all five rods? rod is between 1.5–2.0 cm3. will cover the sample. Read and record the volume. carefully place the sample into the water. 5. 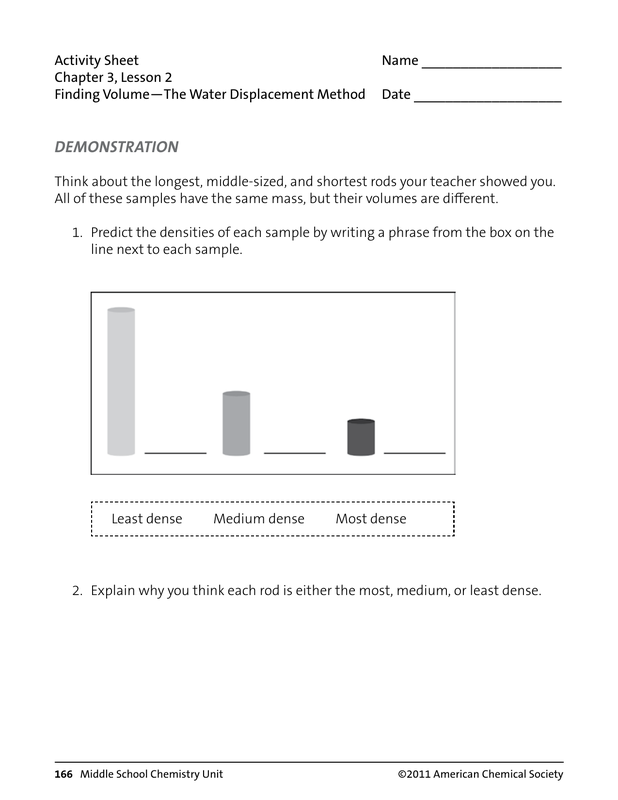 Record this volume in the chart on the activity sheet. 7. 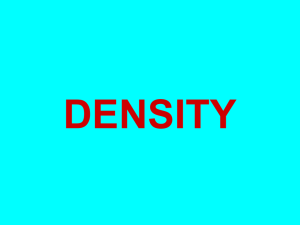 Calculate the density using the formula D = m/v. 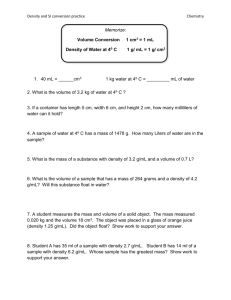 Record the density in (g/cm3). the density of all five samples. 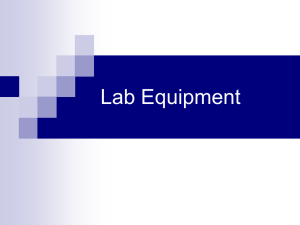 the letter name for each sample in the chart. made of carbon and hydrogen atoms, but also has chlorine atoms. chloride is more dense than polyethylene. brass more dense than the plastics? 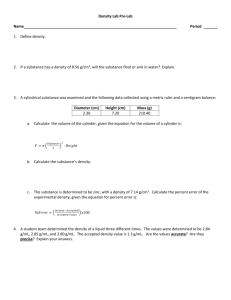 explain why a sample of sulfur is more dense than a sample of calcium.